Hayley's work is strongly influenced by her background in Textile Design as well as her fascination with nature, particularly flowers. 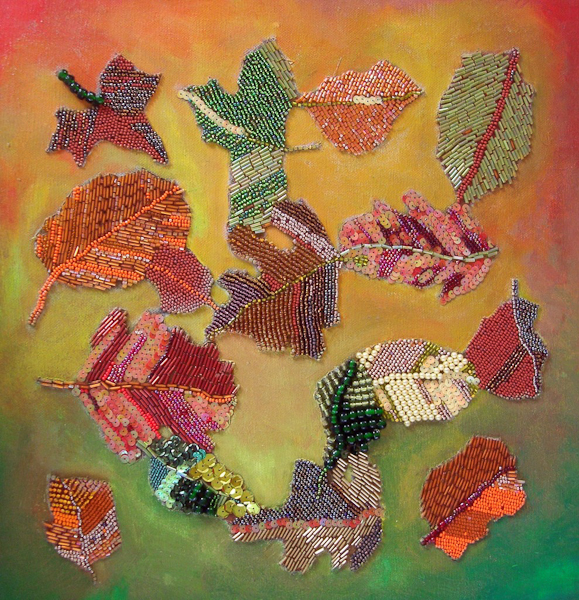 Her work shows a natural feel for pattern, texture and colour, using traditional painting techniques combined with embroidery and beading. 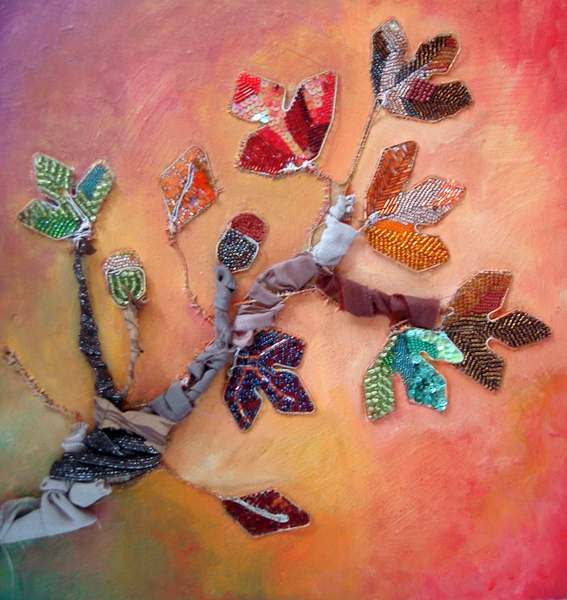 "I start off by painting in acrylic on the canvas, and then once it's dry I add the most exciting bit... beads, fabric, embroidery and whatever else takes my fancy. The pictures often evolve into something totally different to what I first had in mind, thanks to different finds along the way." Prints of some of Hayley's work are available from the Museum shop.